Nobel Laureate Physicist Owen Chamberlain died yesterday at the age of 85 in his Berkeley home. Owen was a Professor Emeritus of physics at University of California, Berkeley. Chamberlain died quietly in bed from complications of Parkinson's disease, which had plagued him for many years. He and fellow UC Berkeley physicist Emilio Segrè, both researchers at the former Radiation Laboratory that is now Lawrence Berkeley National Laboratory won the Nobel Prize in Physics in 1959 for their discovery of the antiproton, the antimatter equivalent and negatively-charged mirror image of the proton. This previously postulated subatomic particle was the second antiparticle to be discovered and led directly to the discovery of many additional antiparticles. 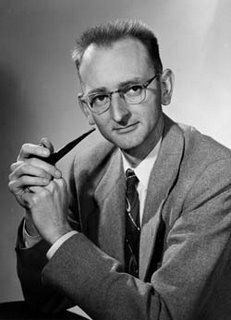 Chamberlain worked on the U.S. atom bomb project from 1942 to 1946. He was present at the first atomic bomb test at Alamogordo, New Mexico, in 1945, losing a $5 bet that it would not explode. Later, while completing his Ph.D. at the University of Chicago, he worked at Argonne National Laboratory, in Illinois. In 1948 he joined the faculty of the University of California at Berkeley, where he became a full professor in 1958. There he conducted research on alpha particle decay, neutron diffraction in liquids, and high-energy nuclear particle reactions. His proton- and neutron-scattering experiments were conducted with the 184-inch cyclotron at the Radiation Laboratory on the hill above the campus, while his and Segrè's experiments with the antiproton were conducted with the UC Berkeley Bevatron, at the time the largest "atom smasher" in the world. Using it, Chamberlain achieved the first triple-scattering experiment with polarized protons. He and Segrè used the bevatron to produce antiprotons in 1955. Although he retired in 1989, Chamberlain continued to attend weekly departmental colloquia at Berkeley, including one just last week.